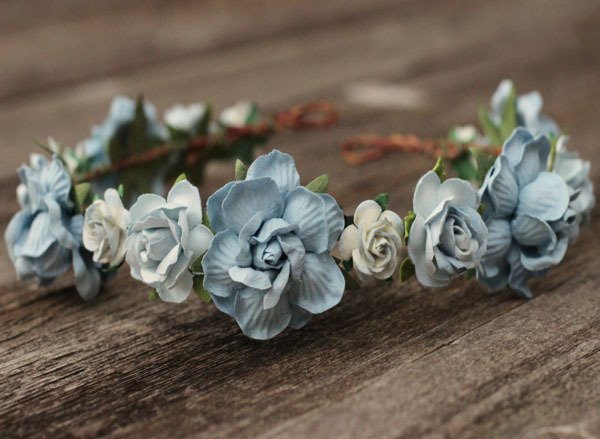 Beautiful Bridal Half Flower Crown Hair Wreath with detailed roses in Dusty Blue and Taupe Flowers. 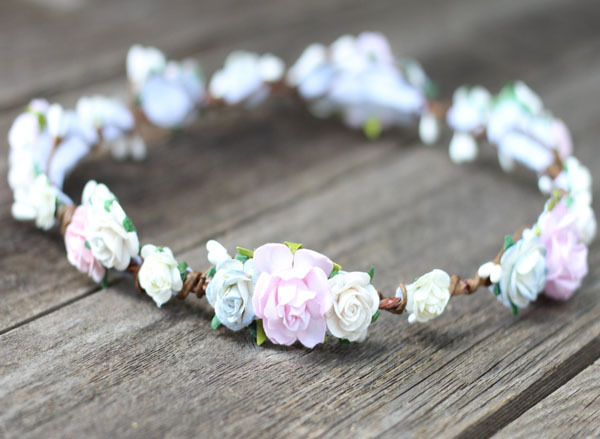 The ultimate wedding floral crown bridal crown for your special occasion. 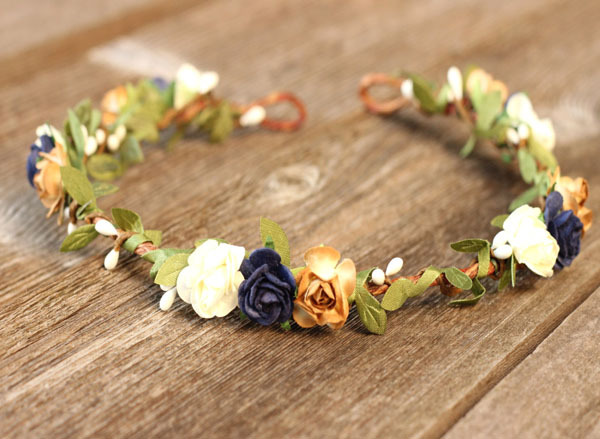 Lovely Floral Halo arranged with olive leafs and berry accents throughout. One of a kind Boho headpiece. 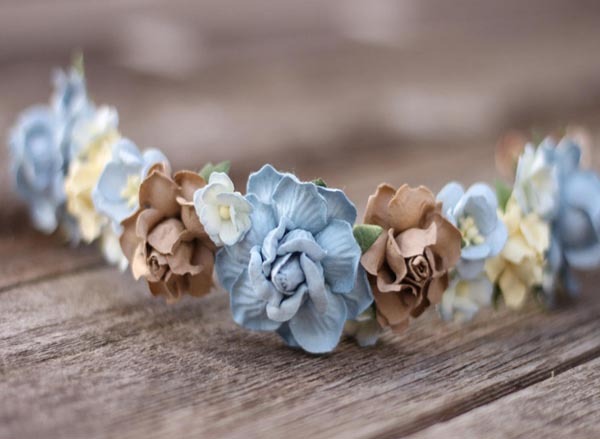 I've taken my love for dusty blue, Ivory and Beige hue flowers cascaded along a rustic base with 2 metal hair combs to secure the headpiece in place. A feminine headpiece to adorn your hair style. The ends are bendable to place and adjust to your liking with secure hair combs. Elegant and unique whimsical headpiece. Flowers are parchment and cannot be emerged in water. "We truly appreciate your support and hope you enjoy and love your flower crown as much as we did when we created it especially just for you. Should you have any questions, feel free to reach out to us as we would love to connect with you"
Get shipping costs for multiple items in your cart. Shipping upgrades are available for this item. Credit- Debit or Paypal is the preferred payment choice. You do not need a paypal account to checkout with your credit or debit card with paypal processor. Please Note E-check is acceptable and takes up to 5 days to clear. Once payment has cleared your order will be processed. This Floral headpiece is gorgeous with Rustic, Navy and Ivory Roses cascading along side berries and..
Enchanting Dusty Blue, Mist Blush and Ivory Wedding Flower Crown make a Bold statement cascading alo.. 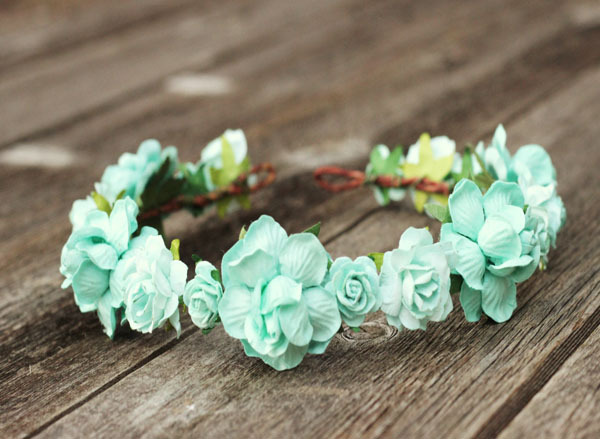 Wedding Floral Hair Wreath in Mint is simply stunning with Aqua-Mint Roses. Flower Crown makes a Bol.. 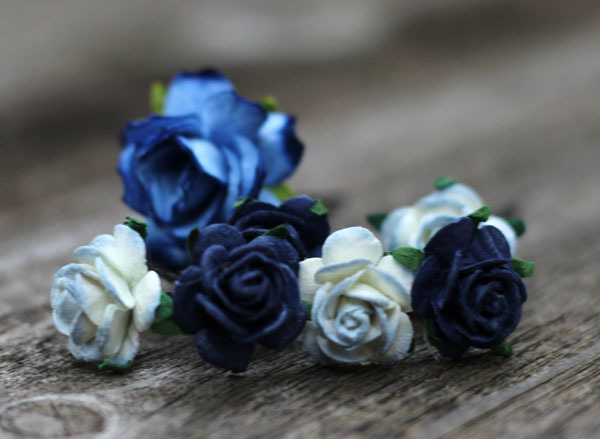 These Dainty Navy and Dusty Blue Flower hair pins are simply beautiful to adorn your hair do. Realis.. 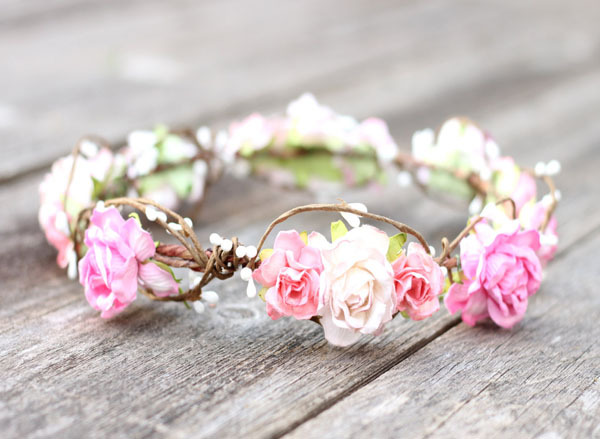 This pretty Flower Crown Circlet Has rich hues of Coral and Pink Rose flower crown is overflowing wi..
Soft Dusty Blue Flowers Cascades around this wedding flower crown headband is simply stunning. 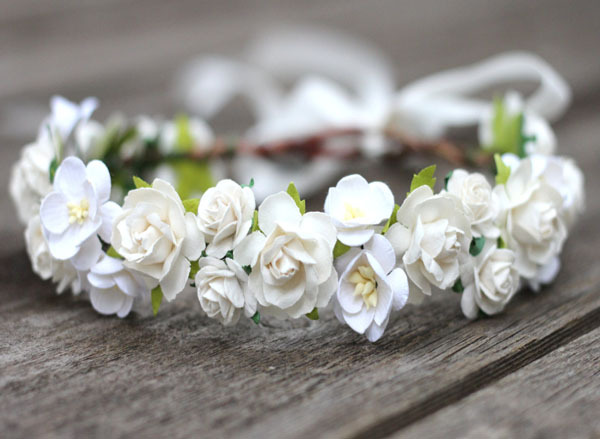 These..
Rich hues of White and Ivory throughout this White flower crown headband perfect for maternity photo.. 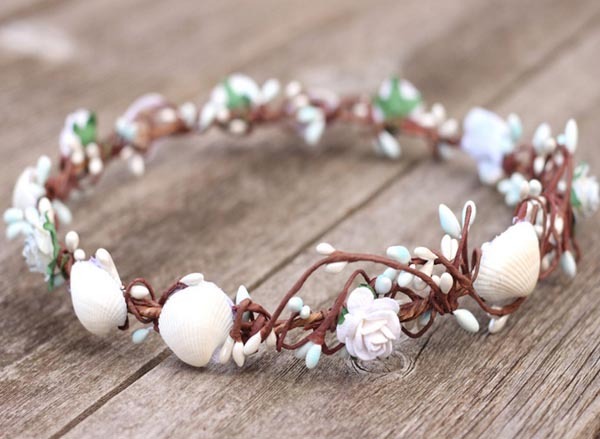 Simply Unique Sea Shell Flower Crown Hair Wreath features beautiful dusty blue and white Roses along.. Wedding Flower Crown © 2017 All Rights Reserved.